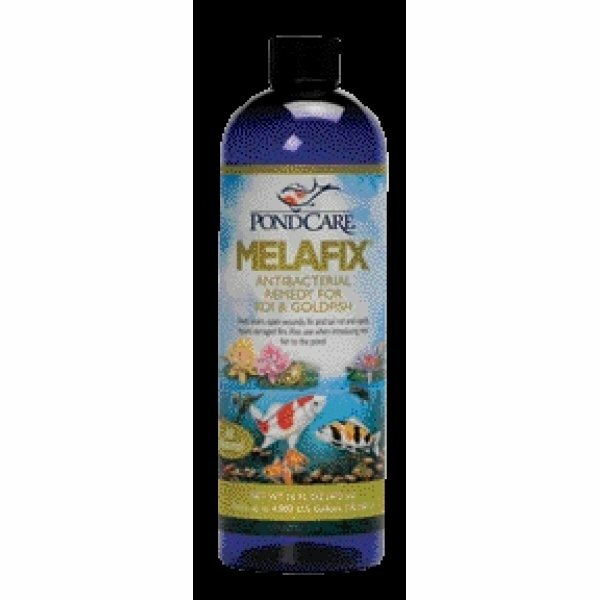 PondCare Melafix has different options and/or variations, please choose below. Melafix uses the antibacterial power of Melaleuca (tea Tree) extract for the treatment of bacterial infections. Healing and tissue re-growth can often be seen within four days of treatment. 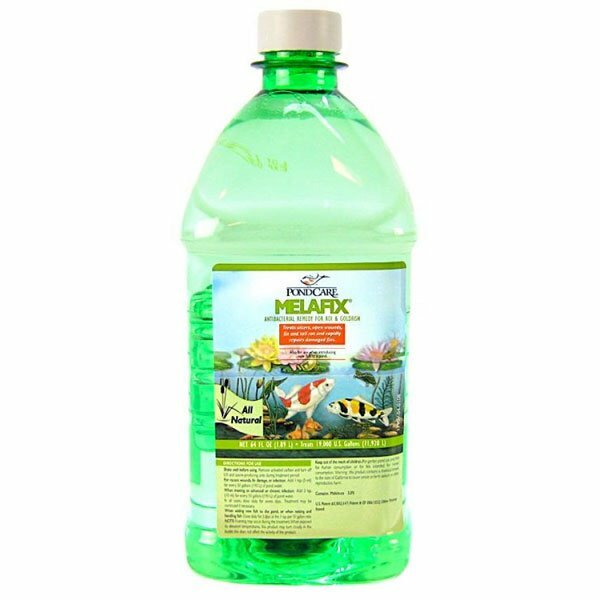 Formulated to work with PondCare Pimafix for best results. Shake well before using. For best results remove activated carbon and turn off UV and ozone-producing units during treatment.